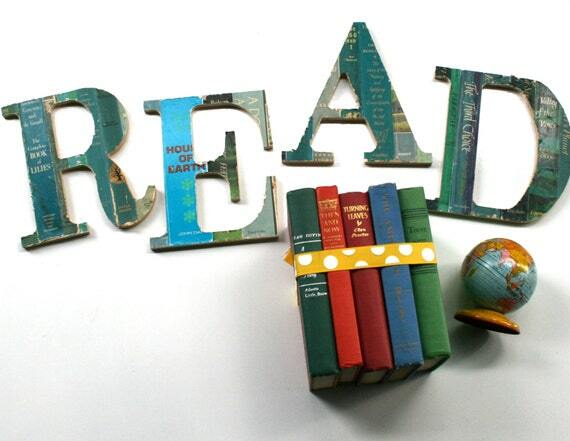 Flaunt those specs, because you're a book lover and you're proud. 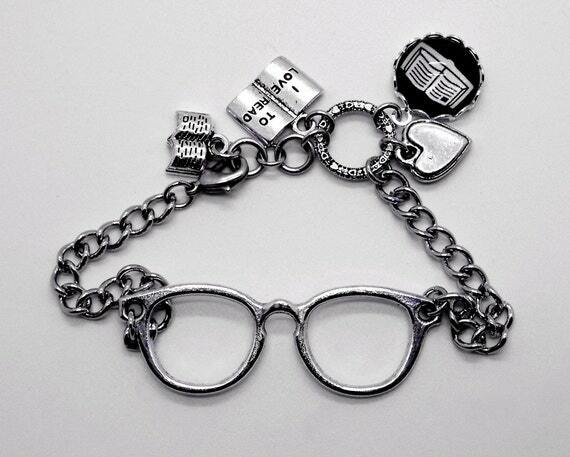 This glasses wearing bibliophile's bracelet comes in 2 adjustable sizes and features glasses, books and a heart. 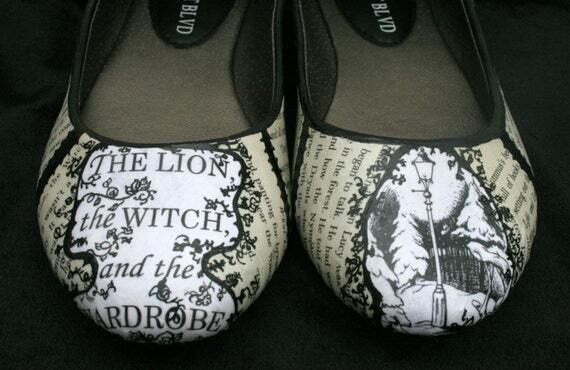 Made-To-Order: Chronicles of Narnia - The Lion, The Witch, and The Wardrobe flats. The flats are covered with actual pages from a reclaimed Narnia novel. The images on the toes are newly printed in white, which is a great pop against the aged book pages, and feature hand-calligraphed illumination-style edging. The edges and flexible areas of the flats are black for an extra accent. Due to the hand-made nature of my items, irregularities do occur at times and can be welcomed as part of the creative process. Purchase of this item constitutes your agreement to abide by my shop policies. LOVE this book & movie by Nicholas Sparks! Fun, unique gift! Made with tumbled travertine stone tiles. Torn, frayed edges for an elegant yet rustic casual effect! ~ Travertine tumbled stone from Turkey. ~ Each as been sealed. ~ Corner backing for furniture protection. ~ Hand wipe ... do not immerse in water. each letter measures 8" tall. 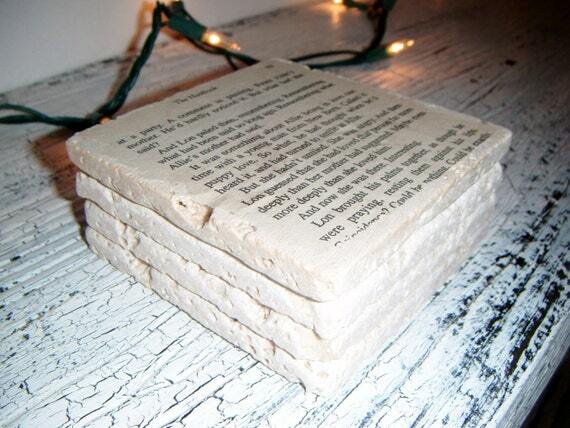 They are MDF covered in vintage book dust jacket spines.